Khabib Nurmagomedov who scored the biggest win of his career after defeating former two-division champion Conor Mcgregor last weekend at UFC 229 from Las Vegas. Unfortunately, the stunning result was immediately overshadowed by a post-fight melee. The Nevada State Athletic Commission handed him and Mcgregor a temporary suspension as a punishment pending further investigation; an official hearing is set for October 24. The commission is currently withholding Khabib’s $2 million fight purse as well. Additionally, Dana White pulled Khabib’s training partner from the match with McGregor’s teammate Artem Lobov and said those goons who were involved in melee would no longer be part of UFC. Russian isn’t too pleased on that he threatened to leave the UFC. 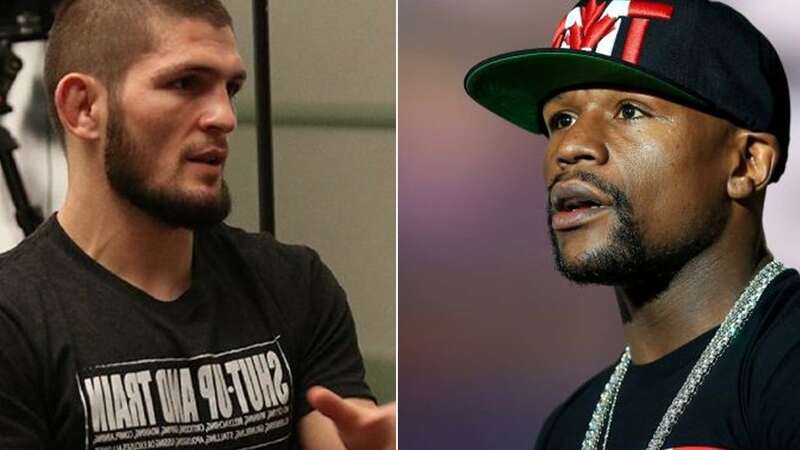 But that mess doesn’t stop Nurmagomedov to think about his future, and he recently called out 41- year retired boxing legend Floyd Mayweather just like Irishman did. Yesterday, Khabib was seen at a World Boxing Super Series doubleheader in Russia and hanging out with Mayweather Productions CEO Leonard Ellerbe. That’s when UFC star challenged Mayweather for a showdown. Ohhh????!!!! @khabib_nurmagomedov said he want all the ????…. f….k @ufc & @bellatormma sign with @mayweatherpromotions and get what you deserve !!!! Matter fact @affiliationmanagement is the PLUG. It’s unclear whether Khabib would go on to leave the UFC but he’s enjoying all the fame after a win over Mcgregor. ‘Eagle’ become the first person to ever knock Conor Mcgregor down in the contest. Mayweather who couldn’t be able to knock Mcgregor out and won easily back in August of 2017 highly publicize boxing spectacle. Neither Khabib nor Mayweather indicated under what rule they’ll fight if their showdown comes to fruition. Share your thoughts, how many of you want to see their fight?